We discussed in the previous posts that actions you take with your body will have an effect of how you feel. On the other hand, our mind (our consciousness, perceptions, feelings and volitional actions) conditions our body (posture, neurotransmitters, nervous system, etc.). You need to embody love first to be able to spread it. According to several traditions like Chinese medicine, for example, the mind and the body are not two separate entities but interdependent and interrelated. This means concretely that the state of the material body is conditioned by mental phenomena and vice versa. See also my post Spread Love – smile and theoretical models dealing with embodiment. The ground-breaking book ‘Embodiment’ – published in German in 2006 and unfortunately not translated into English – combines research on artificial intelligence, psychology, anatomy & body postures as well as neuroscience. I adhere to the systemic approach of the co-authors who stress that the mind and the brain are always related to the body as a whole and that the mind-body is embedded in an environment. More on this topic soon on this blog. If you want to spread love, do good and serve others, in whatever way you want to do this, you have to be aligned with your mind and body to it. This also means that you want to be well and happy first! If you just read this but didn’t actually do it, I invite you to offer yourself 2 to 5 minutes of love NOW! Do it! Reading or thinking about it is not good enough! Help others to embrace self-love fully and step into their power (first!) so they can bloom and truly serve others: please share this article on your favourite social media platform using the buttons below. Thank you! 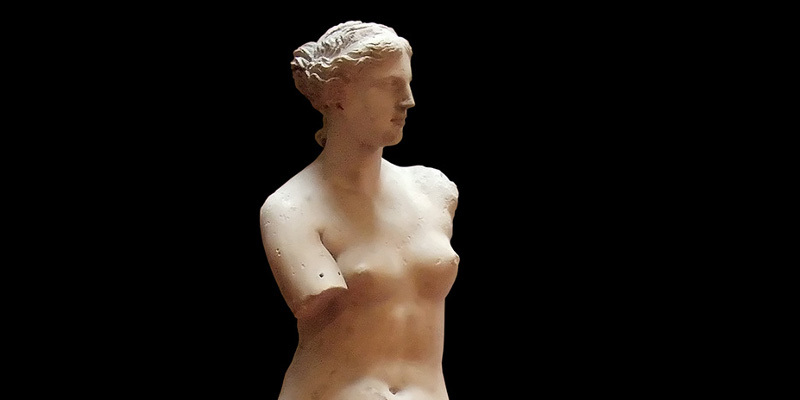 Photo: Wikimedia Commons, Aphrodite of Milos at the Louvre. Jenny Andersson recently posted…What Type of Training Do I Need For My Challenge? You just inspired me to take a deep breath – and smile, and relax. Feeling great right now, thanks Jenny.